I founded Safari Clothing nearly 13 years ago along with 8 colleagues. Back then, the original idea came from the fact that we had brought out a new skateboard video in the Zurich area every year. What we were missing each time was a dedicated brand that could give the whole thing an image. The clothing brand was at first made up of 3 T-shirts and a cap. Nowadays we bring an extensive collection onto the market twice a year. My job is to deal with the design of the collection, samples and production. From where do you draw inspiration for your products? Our products are very simple and we try mainly to use particular fabrics and materials. Our inspiration lies in daily life, travel, magazines and also brands in other sectors. 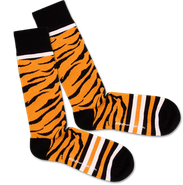 What do socks mean to you? 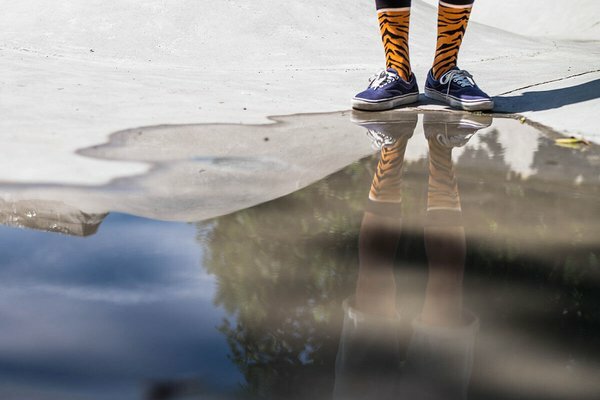 How important are socks to your outfit? Socks are essential, of course. Not only in terms of style, but also for comfort. 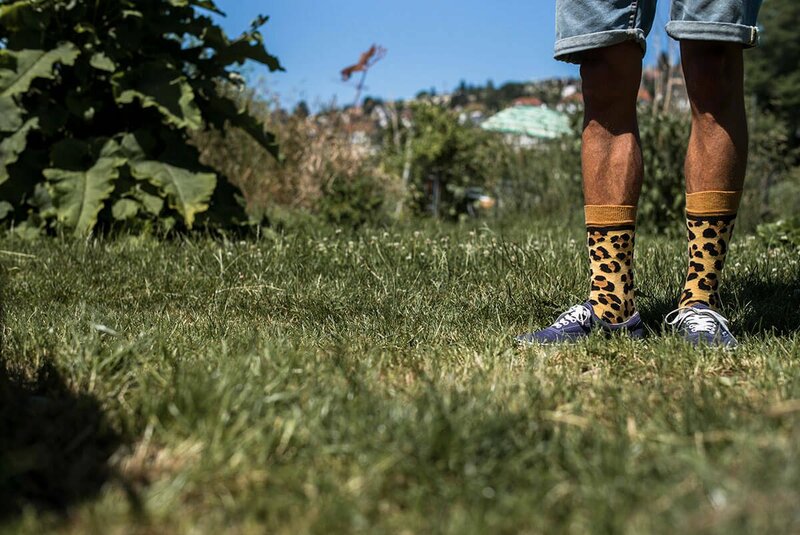 After the warm summer, we are even now already happy to be able to slip into our new socks. 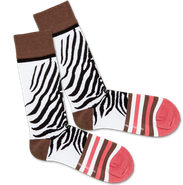 What do Safari Clothing and DillySocks have in common? Both brands originated in the same region and were independently founded. We feel that DillySocks share our spirit and motivation. 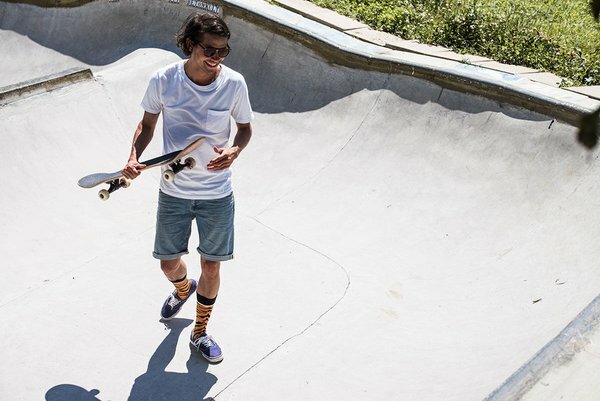 For me, skateboarding is not just ‘sport’ – for me it was more of a key to many other things such as safaris, travel, cultures, design, videos and of course the many friendships I have made all over the world. For us, there is no particularly fitting or everyday motto. Just – as simple as it sounds – no pain, no gain. It’s not much of a motto but it’s certainly the truth! 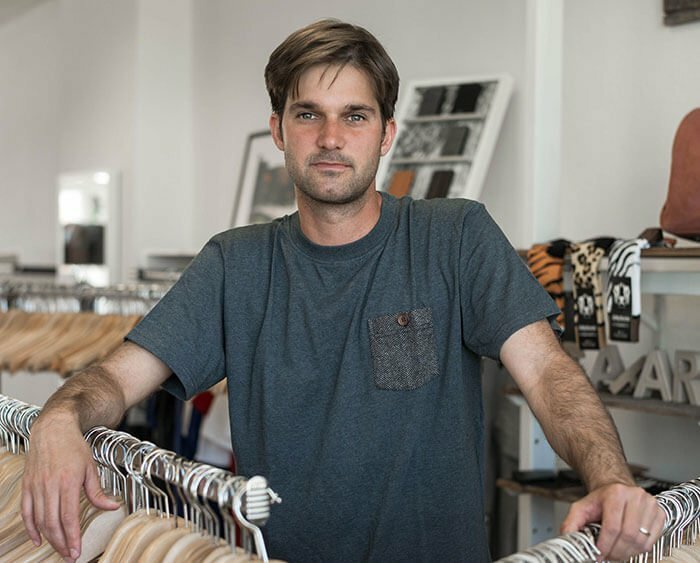 In 2002, Guy Kämpfen and eight friends founded the brand Safari Clothing. Their idea: to produce an annual skateboard video in the Zurich area – and to give the whole thing an image. The three shirts and a cap they had back then quickly became two highly extensive collections per year. The mostly simple designs are perfectly produced with specially-made fabrics and materials – and are now being worn beyond the country’s borders. In 2015, DillySocks is entering into a collaboration with Safari Clothing to create unique, colourful socks for both men and women. The gems this has produced are reminiscent of the freedom and wilderness of life in the natural world. Additionally, the two brands share not only the same philosophy, but also motivation and a sense for the right priorities in their daily lives. 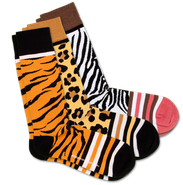 Wear the new and limited edition DillySocks with patterns of much-loved animals, designed by the founders of Safari Clothing, together with DillySocks.